Here's the bibimbap that I made the other day. I was short on ingredients and made it with whatever I had in the fridge. 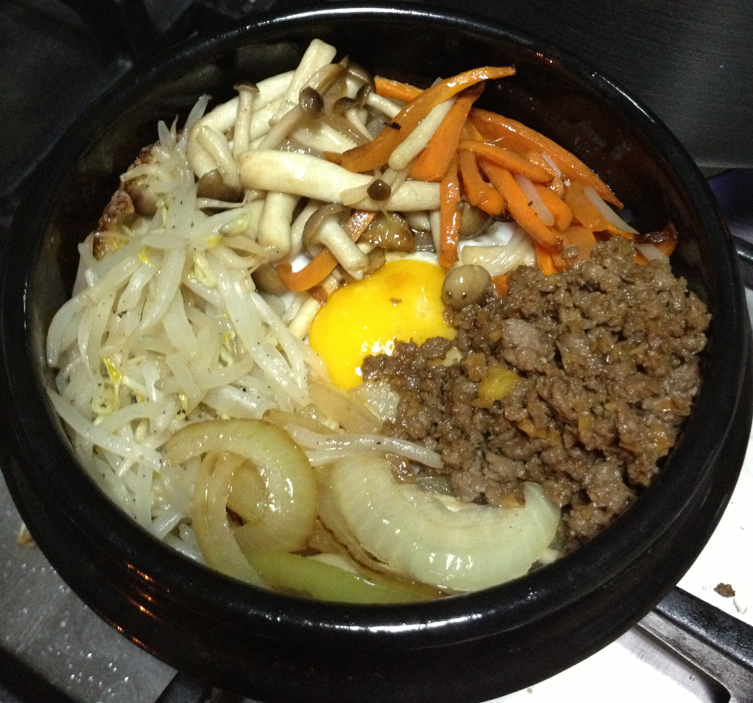 The beef was sauteed in Kikoman, garlic and ginger (this was what I did to my Panget's bibimbap). I'm not a fan of ginger, so I made mine with just garlic.